Career advice is easy to find. Good career advice, less so. But the most impactful takeaways might come from successful professionals who have waded through the trenches. We’ve asked eight women executive and entrepreneurs across several industries to share the most meaningful book that’s shaped their lives—professionally and personally. 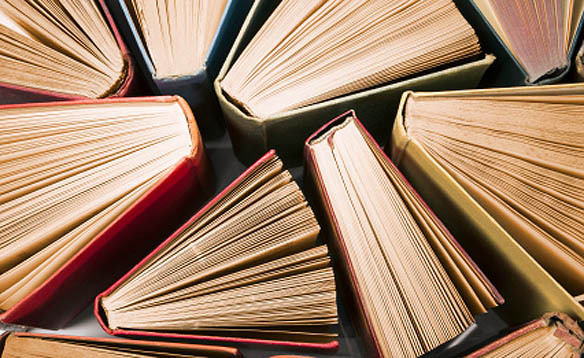 From little-known finds to best sellers, they explain why these page-turners are worth a read. While quick wins benefit your ego—and inflate your numbers—it’s the investment in the endgame that ultimately moves the needle. In her early 20s, Leigh Rawdon, the founder and CEO of Tea Collection, read this book and changed her approach of merely getting by to setting “big, hairy, audacious goals.” “There is integrity in building a company that will stand the test of time. It isn’t about a quick flip or succeeding against someone else’s metrics. The principles of this book have consciously and subconsciously guided the business and our brand since the very first day,” she says. Especially during those quarters when your “high priority” list just keeps doubling (and tripling), staying present in the day to day becomes more of a struggle. Even so, those who are the most fulfilled by their careers prioritize a positive mind-set. When Liz Eglington, the founder of Snapper Rock, first read this best seller, she applied two ideas to her company. “I learned that days are long, but years are short. This is an active reminder to enjoy each day because they whiz by. And I learned that if it takes under a minute to do something, then just do it, because it takes away the clutter and buildup of things to do the next day. Both of these I follow actively each day,” she explains. Throughout her career, chief marketing officer at ClassPass Joanna Lord has not only read and reread this book, but she’s gifted it to dozens of her employees. She says it has a big impact on nearly everyone who reads it, extending beyond the office and into their social lives. In addition to the brutally honest writing, she adds that it pushes professionals to get crystal clear on how they want to feel every day versus what they want to accomplish. “Reframing all the goals swirling around in my heart in this way helped me focus deeply on the life I want to live instead of the boxes I want to check. It’s one of those books that smacks you in the face with the brutal honesty your heart is dying to hear,” she explains. It’s not groundbreaking news that women have a different experience in the office than their male counterparts. Considering a wage gap still exists, understanding how to negotiate salaries, ask for the title you deserve, and build your confidence in meetings is an all-too-relevant and timeless task for many females. That’s why the president of the NYC chapter of the National Organization for Women, Sonia Ossorio, says this book is a must-read. “Women gaining more power to lead, green-light projects, and innovate does not come at the expense of men. In fact, women at the table make more successful businesses. This book gives you straight, practical liveable advice about how to navigate the workplace, put your best self forward and maintain your resilience, creativity, poise, and humor,” she explains.